Rather than just dispose of old vehicles in landfills, many cars and trucks end up in salvage yards. To salvage is to take unwanted, wrecked or junk vehicles and strip them of all their still usable parts and components. These parts and components are then refurbished, recycled, and/or sold to those who can use them. At a salvage yard, when a vehicle arrives it’s drained of its fluids, such as coolant, oil and fuel. Then it’s disassembled. Some of the key things removed from the vehicle typically include its gas tank, tires, and battery. Did you know gas tanks can be recycled as scrap metal or refurbished and then sold as a refurbished part? Meanwhile tires could be retreaded (and sold) or used as fuel or ground rubber. Basically, if there’s still a purpose for a certain part or component, the salvage yard will help find that purpose and utilize it. Things like floor mats and window controls can be resold if there’s a demand. Things that there’s no demand for can be recycled as scrap metal. Some salvage yards leave parts in vehicles for the customers to deal with– they can do the labor to remove them… Others pull parts themselves, cleaning them and refurbishing them to sell at their retail location or online. After usable parts are removed from the vehicle, as well as interior fixtures like the seats, carpeting and console, the entire vehicle’s body/frame can be crushed and recycled! It’s an environmentally-friendly process that saves a lot of junk from going into landfills. Salvage yards play an important role in the global car and truck economy. Not only do they help reduce the impact vehicles have on the environment, but they also end up saving people money on replacement parts for their vehicles as well. Imagine if you have an older car and need a replacement gas tank for it– it’s not something you could easily find at a store but a salvage yard would likely have it because they deal in older car parts. Want to get an idea of some of the things you can buy from an auto salvage yard? 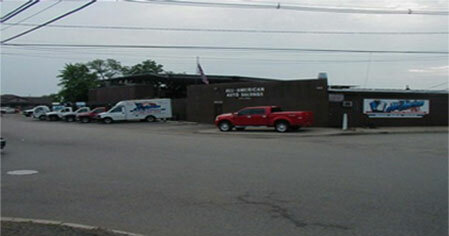 Check out the inventory gallery for New Jersey’s All American Auto Salvage here.